Bring your family pet and come stay with us!! 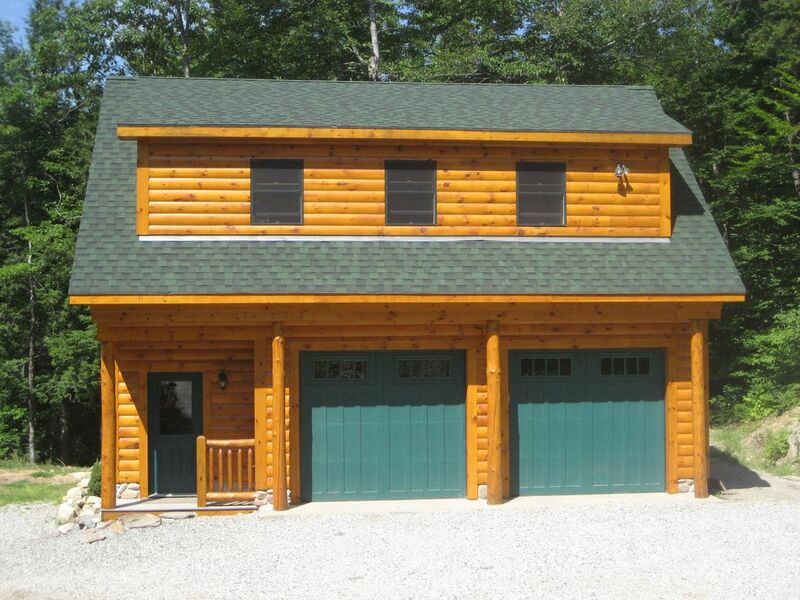 This log-sided property is located in the very upscale neighborhood of Powder Ridge in Newry, Maine. The 180-degree spectacular views of Sunday River can be observed from the wall of glass in this charming newly constructed Artist's Studio. With over 700 square feet of space, this vacation rental boasts a mix of modern facilities and comforts combined with antiques and rustic decor. Enjoy downhill and cross country skiing, snowboarding, snowshoeing, ice skating and tubing within 2 miles of the property. The area's famous 'Artists' Covered Bridge' is located just a scant half mile down Sunday River Road. Feel free to bring the FAMILY PET and enjoy a glass of wine by the wood stove while watching the weekly fireworks display in incredible comfort and peacefulness. '12 HOUR' skiing!!! The Groomers go out at 5PM to provide 'FRESH TRACKS' for night skiers/riders to ski/ride until 9PM!!! ZIPLINING is NOT just for the warm weather! Now you can enjoy the fun 12 months of the year, EVEN with your SKI BOOTS ON! Nightly TUBING can also be found at the White Cap Lodge location. CROSS COUNTRY SKIING trails are located a half mile down the road at the ARTISTS' COVERED BRIDGE, or try your hand at SNOWSHOEING using the TUBBS snowshoes provided for your use free of charge!! With Sunday River Ski Resort located 2 scenic miles away, 1 mile to the Sunday River Cross Country Ski Inn and tons of snowshoe opportunities , there is no end of adventure awaiting you!! BRING THE FAMILY PET AND ENJOY KEURIG TOO! Now your pet can join you and make your family vacation more complete. The ARTIST'S STUDIO is over 700 sq ft of comfort and peacefulness designed to be completely pet and children friendly! We can even help arrange a daily OUTING for your furry family member. Bring your own pet fence collar to use on our 3-acre in-ground fence system! You will find a mixture of high quality MODERN, ANTIQUE and RUSTIC MOOSE AND BEAR furnishings and even a WOODSTOVE! The comforts of home include a pillowtop, queen bed, a 6' thick queen pullout, queen futon, 40” FLAT SCREEN TV (with Directv), STEREO system with in-ceiling speakers, a large sitting area facing a wall of windows, a full-sized kitchen complete with everything you need to make even a THANKSGIVING Dinner, including a KEURIG Brewing System. The charming bathroom has a pedestal sink, toilet, and large shower stall in Rustic Moose and Bear style. All paper goods, soap, shampoo, conditioner, basic condiments and spices and morning Keurig K-CUPS are provided. WI-FI, A WOOD STOVE AND FIREWORKS TOO!! This charming local ARTIST'S Studio is located on DOUGLASS RD in Powder Ridge, 1000' off the road in a completely peaceful and solitary setting while remaining close to EVERYTHING. The 180-degree mountain view is simply spectacular, and you can enjoy the Sunday River FIREWORKS displays while SURFING THE NET in front of the WOOD STOVE! A completely STAND ALONE two-story charming log structure! You can park one cars inside away from the snow, store your skis in the racks provided and even give your boards a quick tune! The large comfortable lounging area has three couches, a WOOD STOVE and faces a WALL OF WINDOWS overlooking ALL of Sunday River Ski Resort. Gary and Wendy Polonski lived, worked and raised their two daughters in Massachusetts while spending lots of time skiing and hiking at Sunday River. When the girls went to college, they relocated permanently to their second home on Powder Ridge. Gary is a trained artist (painting and sculpture) and the Artist's Studio was built for him to paint/sculpt and display his works. While along the way, they discovered a love for sharing their incredibly property with others by hosting guests through homeaway. The Polonski Family has been coming to Sunday River since 1995. The area grew to be an all year round destination for them and the idea for moving permanently was born. The land on which the main home and studio are located was purchased, and the dream became a reality. In July 2008, Gary and Wendy sold their home in Hingham, MA and made the final move. The Artist's Studio is an amazing location only 1 mile from Sunday River Resort. While located close to everything outdoors, it maintains privacy, peacefulness and incredible beauty. Guests can bring their dogs and feel completely at ease since the property is located 1000 feet down and away from the closest rural main road. In the Spring Summer and Fall, guests can feel free to use the large deck/famer's porch of the main home for lounging in the sun, outdoor dining and barbequeing. This recently completed all-wood bathroom features new fixtures and is decorated in quality RUSTIC fashion. All towels, paper goods, soap, shampoo and conditioner are provided for your convenience. The view is a stunning 180 degrees of mountains. Sunrise and sunset are seen right from the wall of windows. Located off of Sunday River Road, just past the Artist's Covered Bridge. Incredible 180 degree views of all peaks of Sunday River and the surrounding mountains. Sunrises and sunsets are amazing! If you do not feel like maintaining the wood stove, there is a Rinnai Heater. We provide high quality flannel sheets for the queen bed, queen sleeper and full-sized futon along with comforters and lots of new fluffy pillows. There is one garage bay for indoor parking for your use and ample parking outside for any extra vehicles. All free of charge. One garage bay included with a door opener for your use. Ample firewood for your stay is provided free of charge. The woodstove makes the space incredibly warm and cozy, even on the coldest of days. The three couches in the living room area seat 9 adults comfortably. Puzzles, books, board games, cribbage, etc. Sunday River Resort and the Sunday River Inn are located just a mile from the property. Due to the upstairs location of the apartment, we are unablt to provide wheelchair access. This beautifully appointed spacious STUDIO accommodation is completely CHILD and DOG FRIENDLY! There is even a 3-acre in-ground Pet Safe electric dog fence so you can bring your dog collar. The kitchen was just completed in August 2011 and boasts a new full-sized refrigerator and electric range. There is a microwave, toaster oven and even a KEURIG Brewing System. Everything is available to cook even a Thanksgiving Dinner. During Winter Season 4-wheel or All-wheel Drive cars are recommended. We recently stayed at the Artist’s Studio for a quick ski weekend getaway. The studio was clean, comfortable and the perfect size for three people and a lab. The views of Sunday River were spectacular and we were able to watch the fireworks from the comfort of the studio with an unobstructed view. Wendy and Gary were incredibly gracious hosts who provided us additional information about the area that was well suited for our energetic lab. We would definitely stay again as it is the perfect spot for a weekend ski getaway. Loved our stay the Artist’s studio. Great view of the mountain. Would definitely come back again. We are delighted you enjoyed your stay! Thanks so much for leaving the studio so clean and please come back anytime! We really enjoyed our stay at the studio. It was as described and very clean. We have stayed in other places nearby in the past and this has been the best so far. Bonus was that we could bring our dog and he loved it as well. Definitely a place we recommend and would come back to. Thank you Wendy and Gary. It was so nice meeting you both and your cool pup! So glad the birthday trip worked out so well for you with great ski conditions. Please do come back anytime!! Loved this unique studio getaway. This was our first time at the Artist's Studio. My husband, two daughters and I loved it. We loved that it was our own private place. It was so warm and cozy. A great place to relax and feel at home. The view was stunning and peaceful!! Wendy and Gary are wonderful host and put all the right touches into this place. It was great to have a garage to unload our luggage. One of my main concerns is cleanliness and this place topped my expectations. Everything was so clean and the bed and couches were so comfortable. The welcoming card and homemade muffins waiting for us were so nice!! I loved that we were only 7 minutes away from the mountain so I could go back and let the dog out. We had the perfect ski weather and conditions. I would highly recommend this place to stay and we would definitely like to come back. Susan, we truly enjoyed hosting you and your family! You were such terrific and thoughtful guests!! Please come back soon! Wonderful ski house near Sunday River! We loved the location, the accommodations were great and the home made cookies were delicious! We would definitely visit again! It was so nice meeting you and we are delighted you had wonderful weather and conditions during your stay! Come back anytime! The artist’s loft was perfect. It had everything we needed for an amazing family ski week. The property was very clean and well maintained. Wendy snd Gary were thoughtful and incredubly responsive to our questions. The loft had everything we needed to make ourselves at home. The views are breathtaking and the skiing was amazing. We would come back in a second. You guys hit it right! The snow was amazing and just kept coming! So glad you enjoyed your stay! The Sunday River/Bethel/Newry area is one of the most beautiful and versatile outdoor adventure destinations in the Northeast. As a winter wonderland, you can enjoy downhill and cross country skiing, snowboarding, snowshoeing, tubing, ice skating, snowmobiling, ziplining, and even dog sled rides in the same general location. Take a break from the outdoors with shopping and dining in charming downtown Bethel or visit nearby North Conway, NH. During the Fall season, 'leaf peepers' can ride the chair lift up to the top of Sunday River Resort and experience nature's amazing beauty. In addition to many local craft fairs, you can attend the annual National Wife Carrying Championship on Columbus Day Weekend. Spring and Summer add golfing at Sunday River Golf Club and the Bethel Inn Country Club, hiking, biking, camping, backpacking, swimming, wildlife observation, motorcycling, and mountain biking. The rustic beauty of this area has something to offer for everyone! If you are coming for one of the many beautiful mountain weddings, extend your stay longer and make it a vacation. Since you can bring your dog, you don't have to feel guilty about kenneling your favorite furry friend. Please note that the $200 Damage Deposit is immediately refundable upon check-out, provided that no damage has been done to the property. Cancellations made 31 days or more are fully refundable. Cancellations made between 16 and 30 days forfeit the deposit. Cancellations made within 15 days are non-refundable. Balance payments not made within 48 hours of the due date will cancel the reservation and the deposit forfeited. Early departure does NOT warrant a refund. Please note that the Homeaway.com Service Fee is entirely separate and the owners never receive any portion. Thus, all concerns with the fee must be directed to Homeaway.com Support directly.